China slammed Britain on Thursday after a Royal Navy warship sailed close to the disputed islands in the South China Sea late last month. Beijing warned Britain of the "provocative actions" and said had lodged a strong complaint with the latter, Reuters reported. The HMS Albion, the 22,000 ton British Royal Navy amphibious flagship, passed the Paracel Islands in recent days, sources familiar with the incident told Reuters. The warship was on its way to Ho Chi Minh City, where it docked Monday following a deployment in and around Japan. After learning of the United Kingdom warship's presence, Beijing dispatched a frigate and two helicopters to challenge the vessel, one of the sources said. China's Foreign Ministry, in a statement to Reuters, said the ship entered Chinese territorial waters around the Paracel Islands on Aug. 31 without permission. "The relevant actions by the British ship violated Chinese law and relevant international law, and infringed on China's sovereignty. China strongly opposes this and has lodged stern representations with the British side to express strong dissatisfaction," the ministry said. "China strongly urges the British side to immediately stop such provocative actions, to avoid harming the broader picture of bilateral relations and regional peace and stability," it said. "China will continue to take all necessary measures to defend its sovereignty and security." The Paracels are occupied entirely by China but also claimed by Vietnam and Taiwan. Beijing claims most of the South China Sea, through which over $3.4 trillion of maritime trade passes annually. Brunei, Malaysia, the Philippines, Indonesia and Taiwan also have conflicting claims to the waters. According to the U.S. Energy Information Administration, it is estimated 11 billion barrels of oil and 190 trillion cubic feet of natural gas sit below the surface of the South China Sea. “HMS Albion exercised her rights for freedom of navigation in full compliance with international law and norms," a spokesman for the Royal Navy said. The U.S. Navy conducted Freedom of Navigation Operations in the same area in the past. 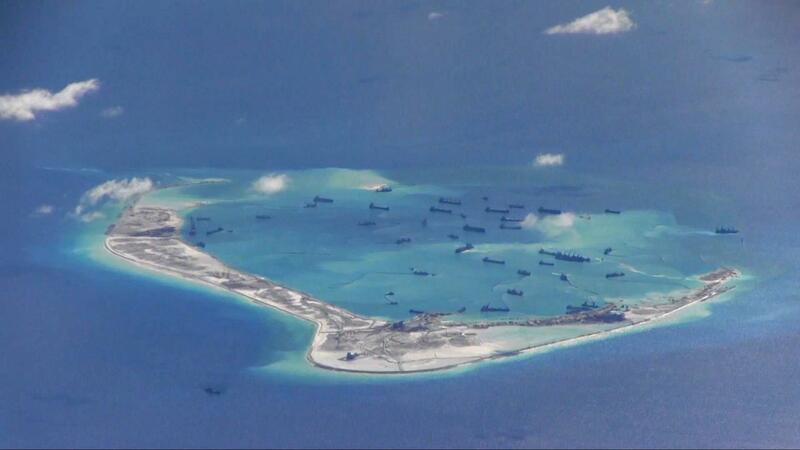 China blamed Washington for militarizing the region with its freedom of navigation patrols.